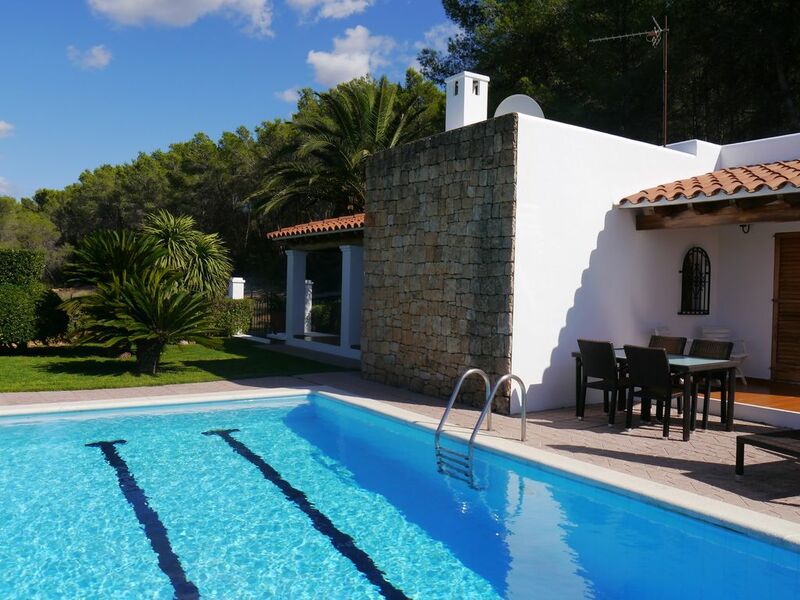 Country house with 2 bedrooms, pool and garden located in San Rafael (Ibiza). Very quiet; ideal for relaxing few days. Excellent road communication with the island. House in perfect condition and with everything needed to live an unforgettable holiday with fully maintained gardens and swimming pool during the stay. What an incredible property and host! We were a group of four - 2 couples - traveling for a birthday. Vicente took care of any questions we had. The property was absolutely beautiful and so relaxing. We would recommend a million times and cannot wait until we come back! Really nice place. Would definitely go back. Beautiful location, beautiful garden. We had a wonderful time. The house was very comfortable beds good everything was clean.Enjoyed the outside space ,pool was nice. Vicente is really helpful and will help anyone sort any issue out! I’m glad to say i didn’t have any problems and the house was very nice and well organised! No chance of getting there without having a car but you do need a car anyway on the island! it’s located very close to amnesia in the San Rafael countryside, and all I can say is I loved it, it made my holiday a better one! Thanks Vicente for everything! Will definitely come back to your place! Centraal op het eiland en bijzonder rustig gelegen zomerhuis. Inrichting is karig maar schoon. Buitengebeuren zeer compleet/verzorgd incl. uitnodigend zwembad. Verblijf in voor-/najaar bleek tijdens ons verblijf toch geen aanrader. Haard mocht niet gebruikt worden en elke andere vorm van verwarming ontbrak. We hebben de avonden in een soort klamme vrieskist gezeten. De, overigens zeer vriendelijke, eigenaar kon onze klachten alleen beamen, een oplossing bleef uit.